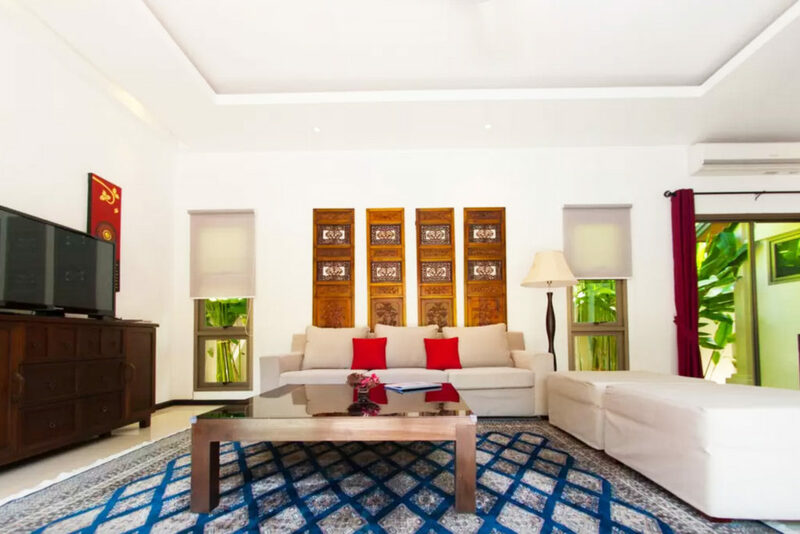 Break away from the usual resorts and be inspired by these scenic villas for rent on Airbnb. From SGD$50 to SGD$900, we’ve got every budget covered. Now that Airbnb has launched the Superhost program, you are sure to be in good hands. Superhosts respond to all demands within 24h, have an 80% or more 5 star rating and no cancellations. Thats pretty hard to attain and maintain! 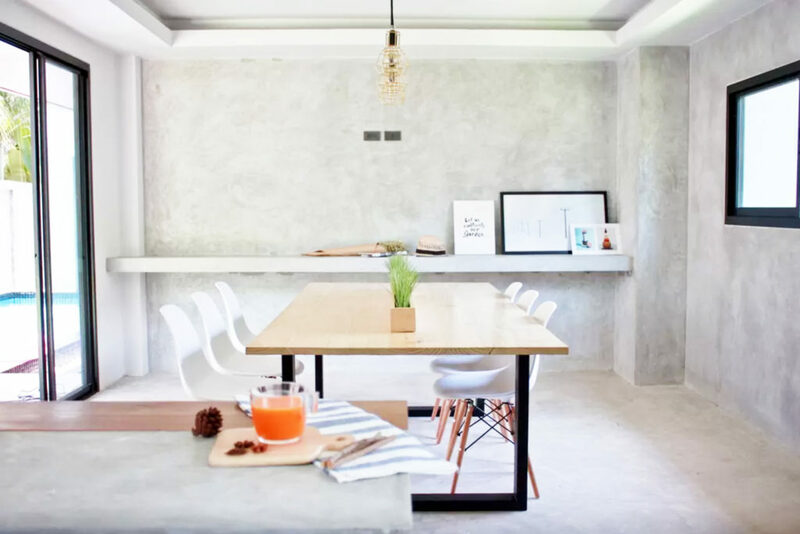 If you’re visiting Bali, we’ve got Airbnb listings for you too! Swiss Villa Panoramic may look ordinary in daylight, but the villa comes alive at night with a brilliant showcase of neon-lit furniture and features. The pool is lined with a glowing beam of light, giving it a futuristic feel. The tables and chairs by the poolside complements the atmosphere with neon lights, making the place look like a set from Tron:Legacy. The bar has a fantastic menu as well! Lemon House is a modest 2-bedroom villa nestled deep in Kathu. Each villa has an attached balcony, perfect for sipping tea or meditating with a private garden as your backdrop. Its a 20 minute ride out to the big city attractions, but there are supermarkets and restaurants just a 3 minute walk away. 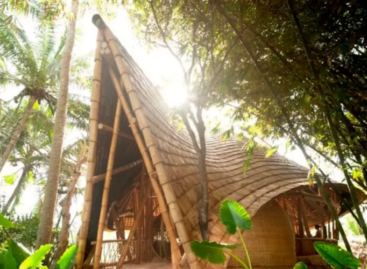 Its an ideal place for yogis on a quiet retreat, looking to get back in touch with nature. 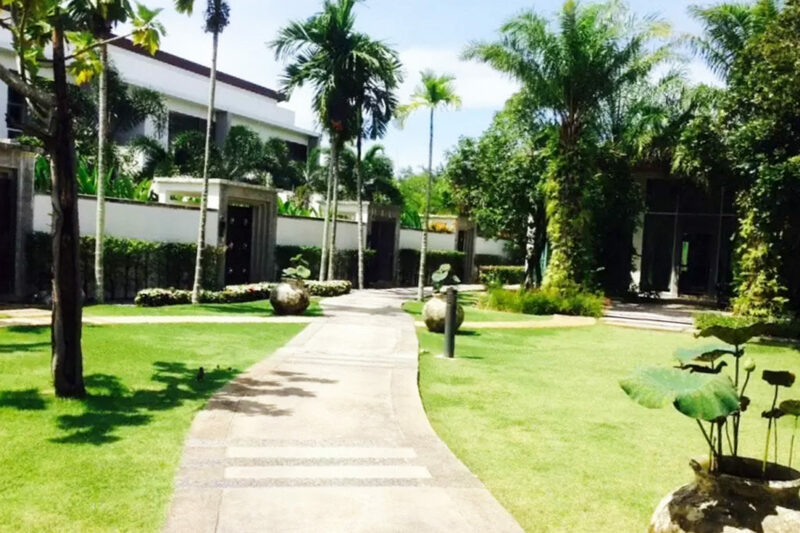 Located in Chalong, Jasmine Ville is a quaint two-bedroom villa with a private pool. 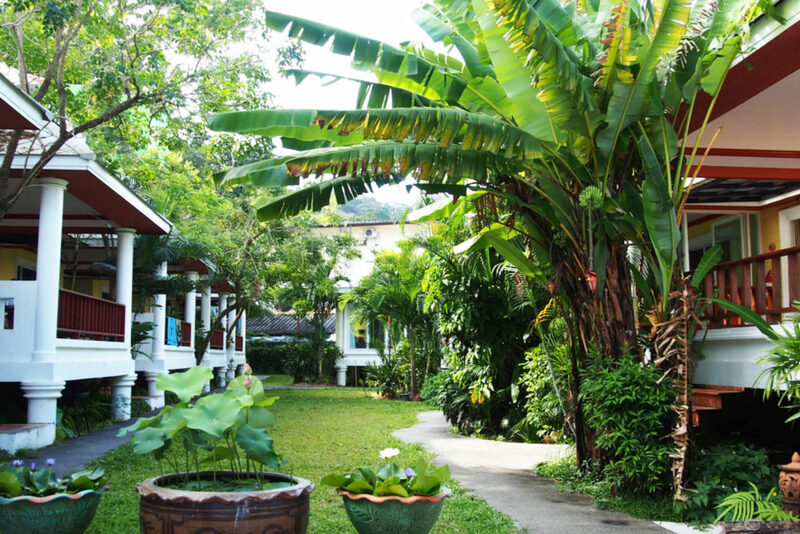 It is right next to the Phuket Zoo, famous for its crocodile shows- perfect for families on a short vacation. 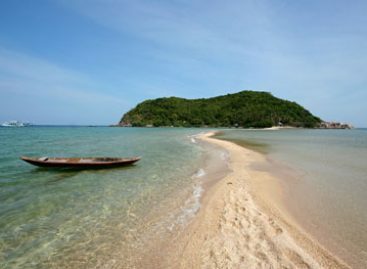 Do note that because it is a distance from Phuket’s main sights, your public transport expenditure should be properly planned and considered. Alternatively, you can request for transportation service from the friendly landlady at an additional fee. SuperHost Didier’s villa has a slew of happy reviews, and it’s not hard to see why! Each guest raves about his excellent customer service which includes his immediate correspondence, readiness to help with transport bookings and his excellent recommendations. 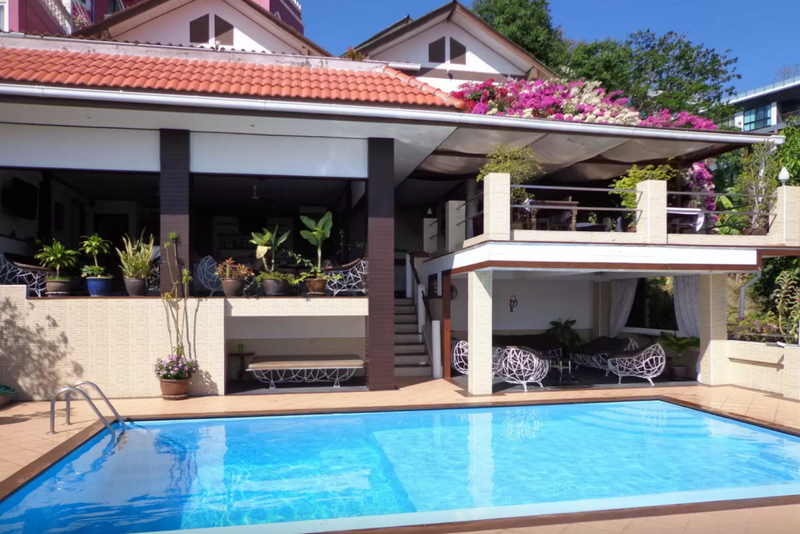 Didier’s villa is conveniently located in the heart of Nai Harn. Local gem Promtheb Cape, famed for their spectacular sunsets is just 4km away. 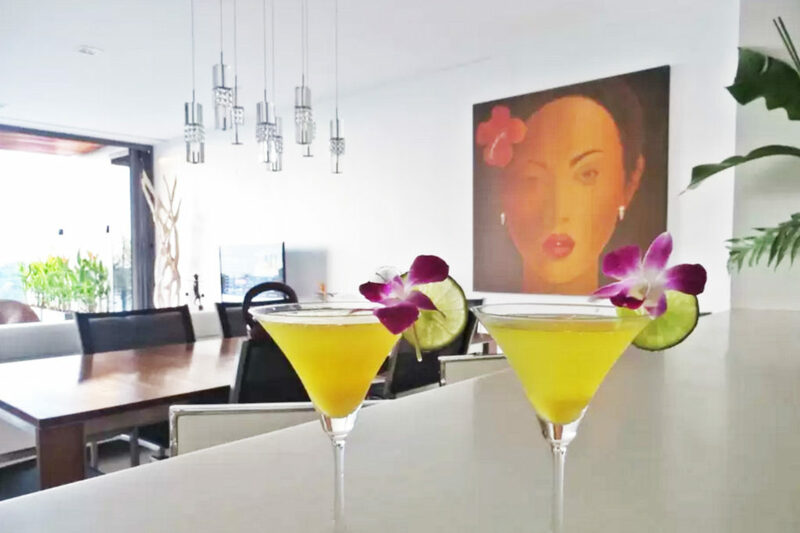 If you don’t feel like heading out, take a dip in the private pool and prepare breakfast in Didier’s fully-stocked kitchen. What a treat! 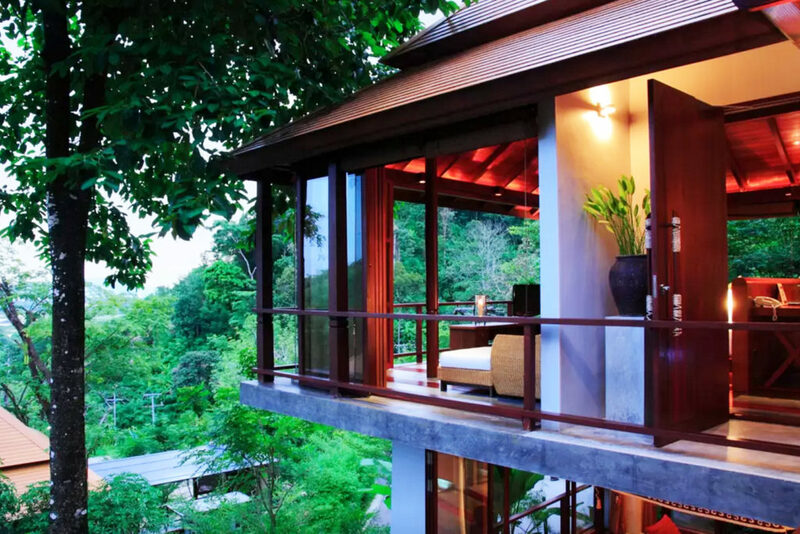 Tucked away in the forest and perched on the hilltop is the sub-blessed Treetop Duplex Pool Villa. The villas are huddled amongst treetops and are equipped with five-star amenities. SuperHost Gino loves interacting with his guests, so drop him a line if you’re ever here! Sit under the trees during the day or lay under the stars at night- this villa provides an outdoor experience in comfort and style. Rooms come with automatic lighting and dimmer controls that adjusts itself throughout the day. Villa Zolitude is ideal for those who dream of living in a treehouse! 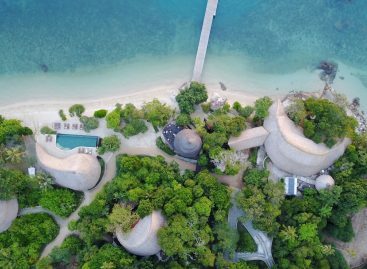 The Next Plan has stellar reviews on Airbnb, with guests raving about the host’s dedicated service and the excellent maintenance of its facilities. The villa is a work of art as well- each room is designed with a keen eye and dotted with loud furniture. With the swirled marble flooring, wallpapering and modern furniture, all rooms are Instagram worthy. Hipsters, here’s your pick! The Heights promises a spectacular view any time of the day. Start your day with the sound of hummingbirds (no really, hummingbirds!) and soak in the picturesque sunrise. There is a swimming pool and gym facilities available for holidaying exercise junkies. Spend the day out as you please but remember to catch the sunset from your room, a soothing view that promises to take your breath away. This place is a must stay for those looking for a view to remember. 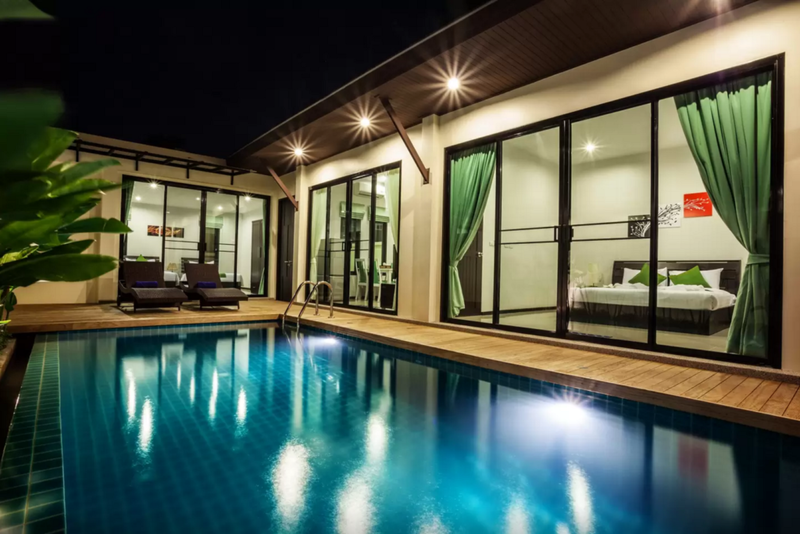 One of the top villa listings for Phuket Airbnb, SuperHost Napta takes great pride in delivering top-notch customer service. One particular traveller gushed about how thankful she was when he managed to fulfil her last minute request. Upon arrival, Napta’s personal maid will give guests a tour of the place, offering help with directions and additional cleaning. The spacious villa comes with three bedrooms, plenty of common space and an L-shaped pool surrounding the villa, offering a dip from any room. Airbnb SuperHost Peter’s abode is a sight to behold. 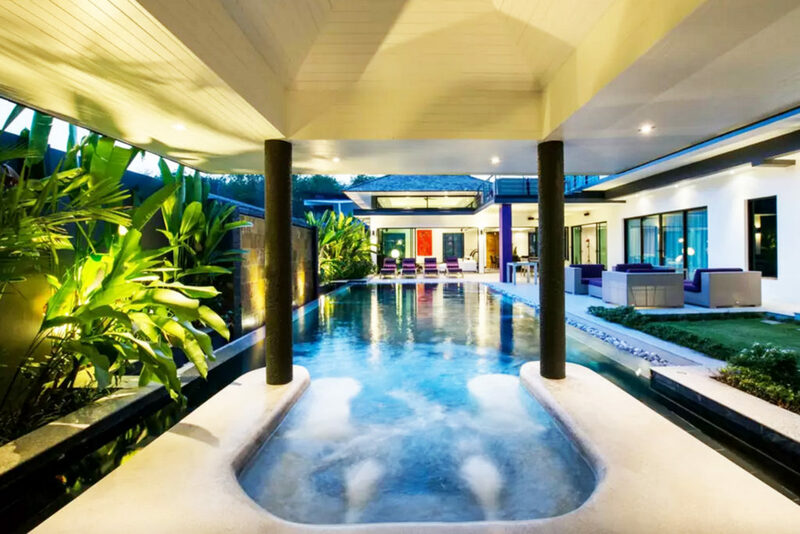 This grand villa combines a jacuzzi with their indoor pool, opening a massive relaxation space at the heart of the villa. After a soak, renters can head to the showroom-grade kitchen, where they can cook while friends watch over the counter. The living room is spacious, furnished with modern décor. Most renters commend Peter on his customer service – helping them with everything from organising their trip to hanging out together in town! Chanpen’s colossal White House Villa is not for the faint-hearted. With thematic bedrooms across the abode, this home prides itself on providing a luxurious experience. Recline in soft sheets as you watch the fishes in one bedroom’s built-in tank, or swing lightly on a suspended bed on the balcony as you watch guests mingle in the jacuzzi. One of the bedrooms is Egyptian-inspired, with the bed perched atop a flight of small, industrial setting stairs. Wake up a different person at every hour in this fascinating villa! Now that you’ve got accommodation covered, set some time aside to visit Phuket Old Town!